The Question:The boss wants us to all use Outlook.com so I’m getting used to it. My question: how can I add a custom signature to my account so that every new message automatically has my signature included? Outlook.com, also known as Live.com Email, is a second (third?) generation webmail interface from the Microsoft team and it’s quite well done, quite elegant. Just as importantly, it’s integrated into Office 365 so it’s easy to access your Word online documents and other content through OneDrive, etc. We’ve also had email around for long enough now that the core functionality is very well understood so you should find a ton of similarities between Google’s Gmail, Yahoo Mail and Outlook.com. So let me show you how to add a custom signature to your composition window in Outlook.com but also point out a couple of useful areas and features along the way too. Ask Dave Taylor Outlook. permalink. We are using Outlook as our email client. 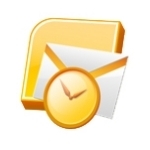 Utilizing IMAP and not POP for the handling of emails. Simple question, my email address es@vms7.com has no junk mail folder like some of the other email addresses in my email folder. Thus when I attempt to use the junk mail button on the ribbon, it is fruitless, can you help me to get a junk folder that is functional. Tried simply creating one and naming it Junk Mail, did not work.